Rieker bring us 41793-42 SARMILL. These stunning ladies shoes add a classic elegance to an outfit. 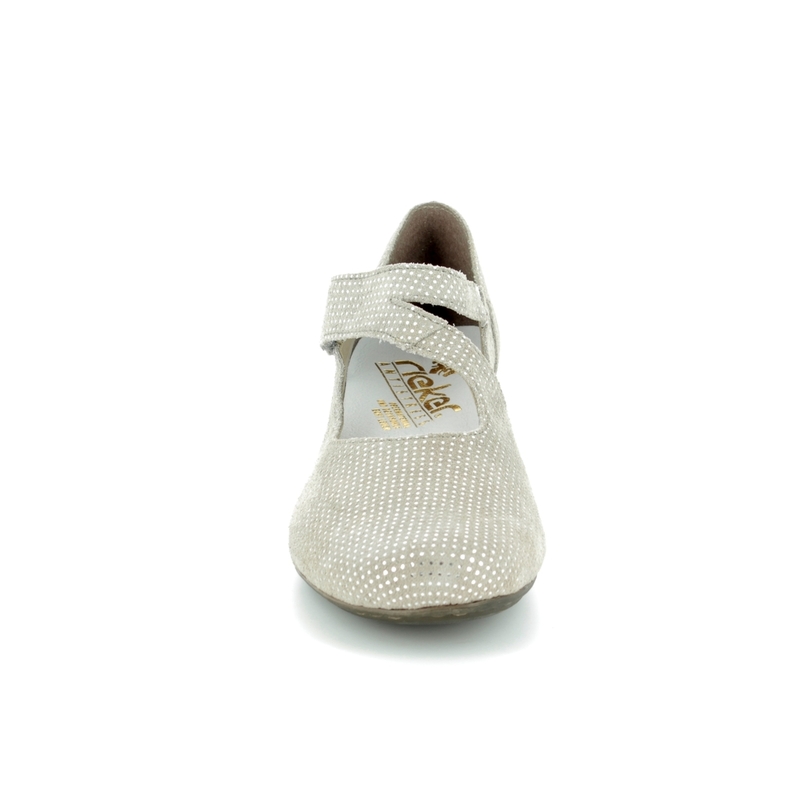 The light taupe upper features miniscule metallic polka dots for a shimmering finish. Made using the 'SAR' or 'SARAH' last, these shoes have a rounded toe while the use of soft leathers allows the upper to mould to the feet instantaneously. Rieker have upped the comfort factor using their ANTISTRESS technology. 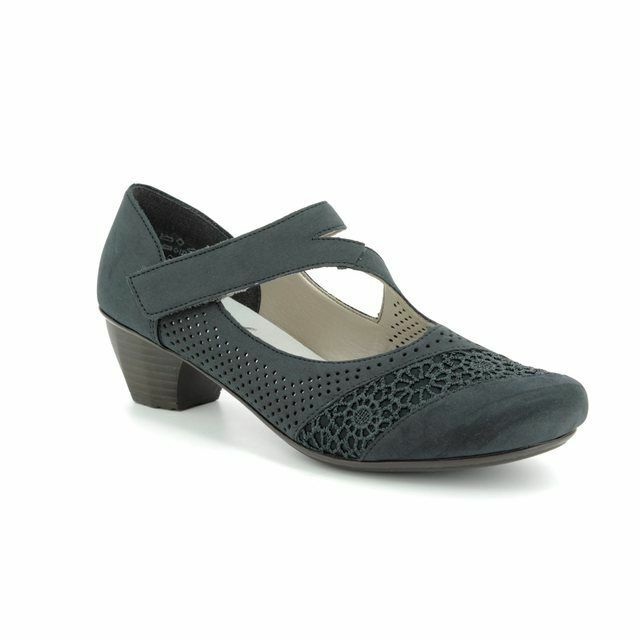 Cushioned, shock absorbing sole units pair with fantastic flexibility to make these ladies Mary-Janes a joy to wear. Velcro has been added to the strap for an adjustable and secure fit. 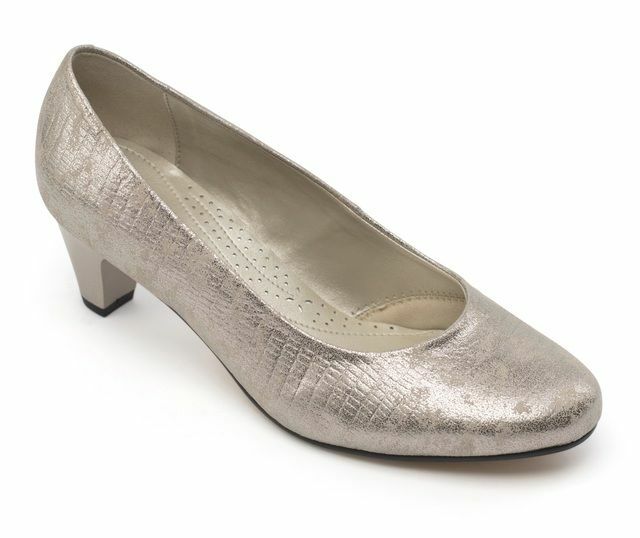 Perfect with a dress or skirt, these Mary-Janes feature a low block heel for a little lift. 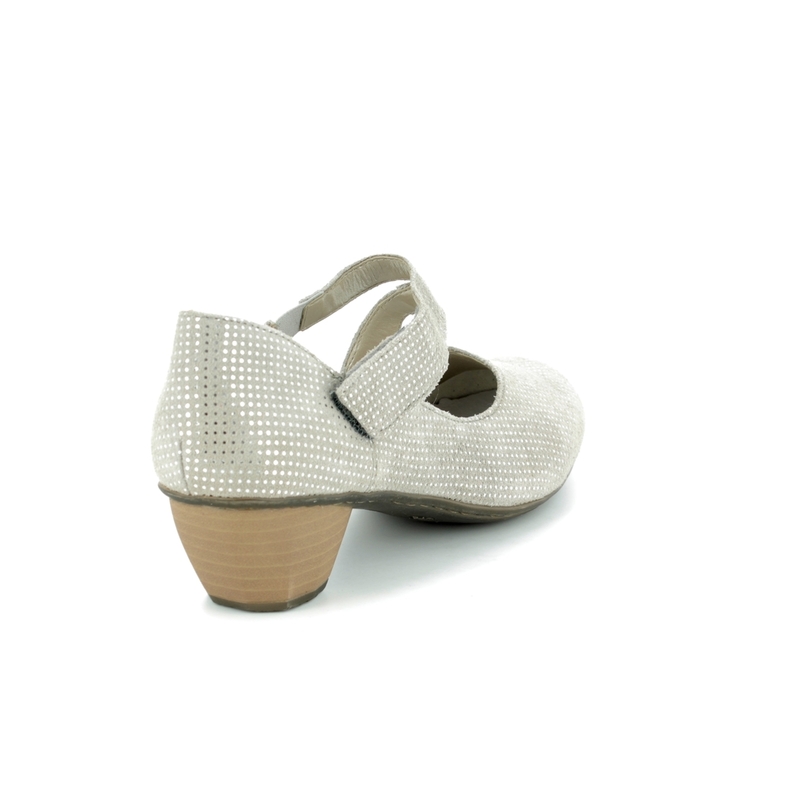 Buy your Rieker ladies Mary-Janes from Begg Shoes, an official Rieker stockist.